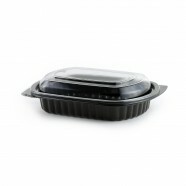 Clear RPET dome lid with smooth, sleek look provides an unobstructed view of food contents with wide, rib-free panels. 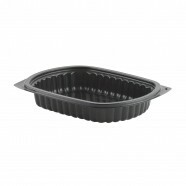 Combine this RPET lid with 16oz. microwavable polypropylene container to drive impulse sales on chilled displays. 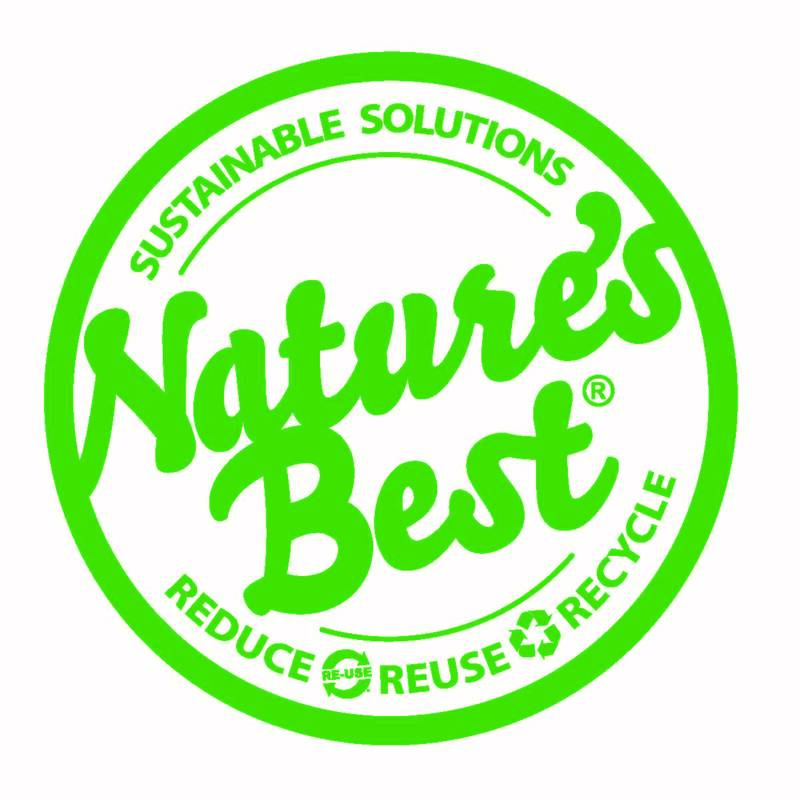 Made with FDA approved post-consumer recycled content and integral Clear Guard® cold anti-fog technology, this lid provides maximum visibility while keeping food looking fresh and appealing. 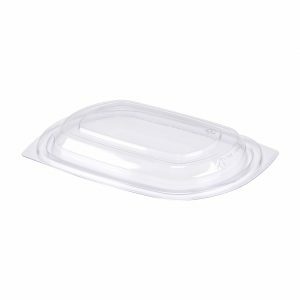 Leak-resistant closure prevents messy spills and stackable design preserves the food presentation on display or in the bag. Dome is recyclable curbside. Available as combo pack with MW416B base.